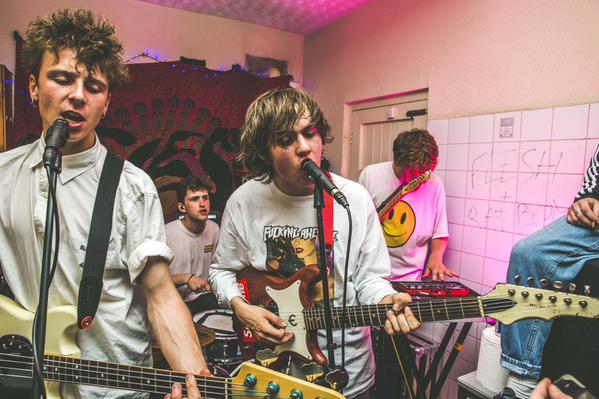 Anybody with an interest in British indie music will have across Rat Boy by now. But in case you haven’t, here’s a handy introductory article I wrote a while back. 19 year-old Essex native Jordan Cardy has been lighting up the British indie scene since coming to our attention at the beginning of 2015. He plays guitar, bass, keyboard, raps, sings, produces and makes the artwork for all his own music. Jordan raps socially observant music about life in Britain with the lyrics of the old Alex Turner and the style of the old Jamie T. Despite most of his music being rap songs, it’s not quite hip hop, it’s more indie or garage rock. His inspiration comes from Jamie T, Blur and The Streets, who were a favourite in the Cardy household in Chelmsford. His breakthrough single ‘Sign On’, with lyrics about unemployment and having no money, ironically got him signed to Parlophone Records. In June, his gig at a house party in the Manchester student area, notorious for massive student parties, Fallowfield was named as NME’s gig of the week. The house belonged to Manchester band Flesh, who later went on tour with Rat Boy. The party was after Rat Boy played a raucous show at Manchester’s Sound Control venue. Yet NME chose the after party as the gig of the week over the actual show. Reminiscent of the times when The Libertines would play get gig of the week, playing in flats across London. And look where they are now: headlining T in the Park and Reading and Leeds and a 2016 arena tour culminating at London’s O2 Arena. Rat Boy could be headed down the same path as he’s just announced his biggest headline show to date on the 26th January 2016 at London’s Heaven. Jordan went on tour with Circa Waves and played at a number of festivals, including Latitude and The Great Escape, this summer; paving the way for his biggest headline tour this September and October. At the beginning of September, he announced a series of tour dates- after releasing the single ‘Fake ID’- between the 16th September and the 4th October, playing at venues from Glasgow to Falmouth. Already gaining a reputation for his riotous live performances, with almost every gig ending with a stage invasion and crowd surfing. He’s a security guard’s worst nightmare. And of course, Rat Boy being mobbed by his devoted fans. In an interview with NME Radar before a show in Brighton, he explained how he gets nervous before 18+ gigs because the nature of his music appeals so much to young people. He has gathered a massive teenage following. Some of Rat Boy’s gigs have even been looked into for health and safety reasons, with a number of fans picking up some pretty bad mosh pit injuries. But I don’t think he’d be too happy about making all of his gigs 18+. 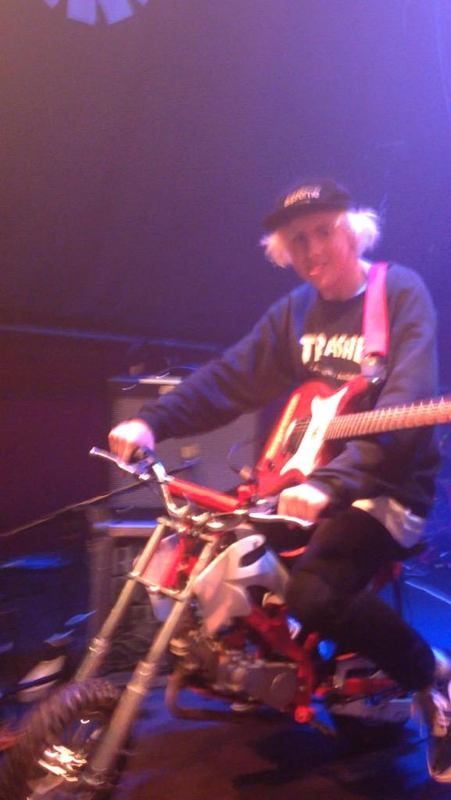 The audience at his show at Stoke’s Sugarmill on the 23rd September even saw him ride a motocross bike across the stage during a crazy performance. 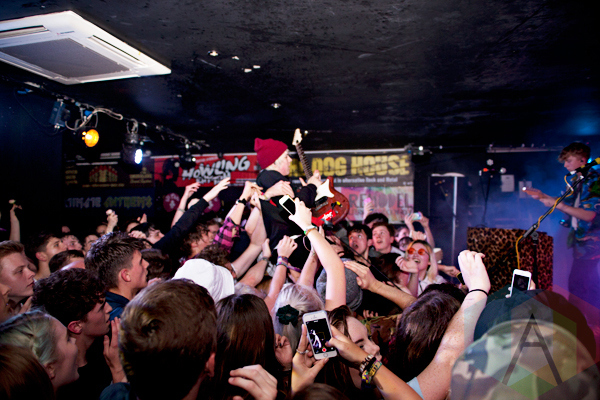 No one can say Rat Boy gigs are boring. He’s exciting and that’s exactly what British indie music needs. Hopefully we’ll see a lot more of him and more artists like him coming through. His headline tour is still going and they are a handful of dates with tickets still on sale.